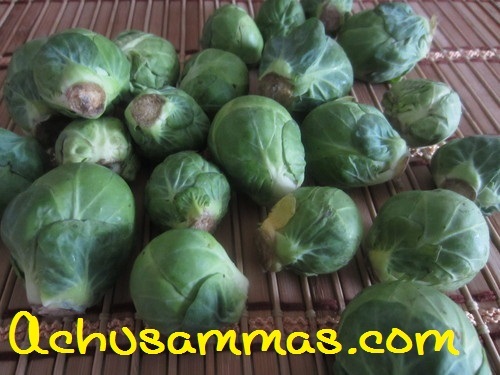 Brussel sprouts – 10-15 nos. · Washed and finely chopped, I used grater for chopping brussel sprout, or you can use roughly chopped. 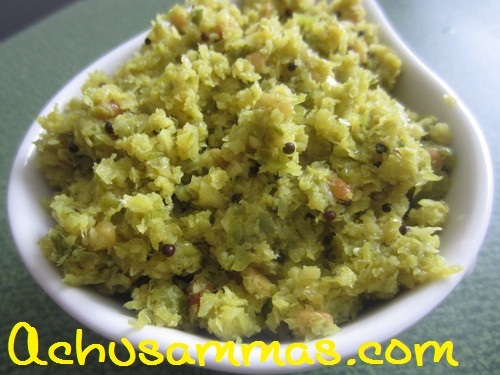 · Take a pan with oil and add mustard seed, when it starts to spluttering, add green chilli, urad dal. 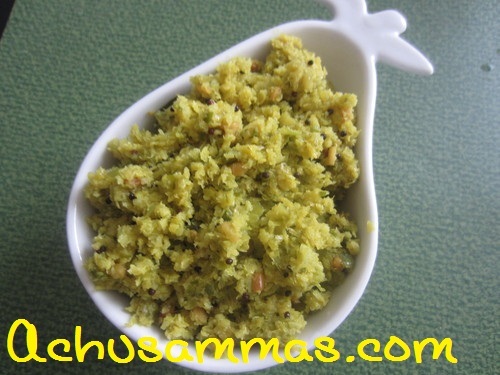 · Add chopped onion when urad dal becomes brown in color. Sauté till onions are become transparent. 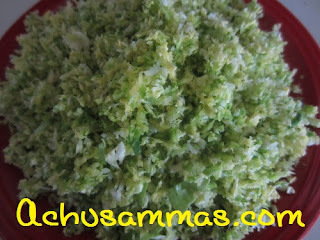 · Add grated coconut, and curry leaves, again close the lid and cook for 5-10 minutes on simmer heat. First time here...glad to follow u...thorn with Brussel sprouts sounds good...never tried Brussel sprout. Looks very healthy and tasty..
looks healthy and delicious too!! 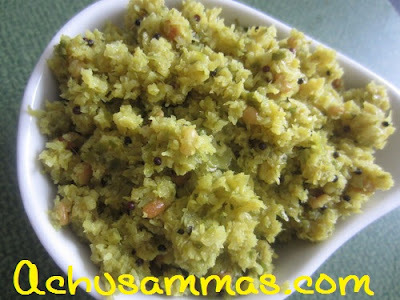 Love this super healthy thoran..delicious! Thankyou for visitng my place, one veg i don't like is sprouts, could be also i have only had them the way they cook here, but then with the spices i might like it. Wow..only way I cook brussel sprouts was using them whole. Never knew you could actually grate them and make it into a beautiful dish. Very creative! Hi, Visiting your blog for the first time. Is there an option to subscribe to your posts through email?